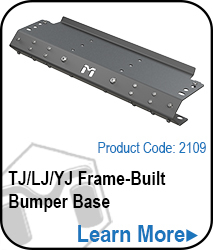 The Hi-Mount Stinger Grill Guard for the TJ/LJ/YJ Frame-Built bumper provides the ultimate protection against anything nature can throw you on the trail. Designed to go with our Hi-Mount Shackle Kit (2131), the MetalCloak Stinger Grill Guard is Extreme Strength for real wheelin'. 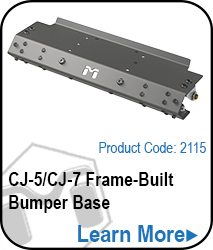 Part of the Frame-Built Bumper System for Jeep TJ, YLJ & LJ Wranglers, the Stinger Grill Guard is the ultimate component for proven strength and trail readiness. 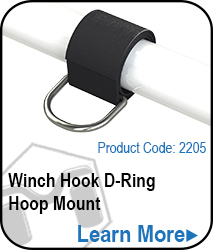 Like all our components, all hoops are replaceable in the unlikely case you damage it or would like a new configuration.